Think designer inspired pieces, statement dresses, stunning prints and fabrics and cute staples, there really is something for everyone at HELLO PARRY. From her first fashion show at Telstra Perth Fashion Festival to her clothing being featured in various magazines, this year has been huge for the lady behind the genius venture. I was lucky enough to sit down with the beautiful Sandy Lai to discuss how it all came about and why she believes it is so important to work alongside fellow Perth bloggers and creatives. Meet Sandy! Who is Sandy in five words? Sociable, friendly, ambitious, smiling, night-owl. I am the founder of HELLO PARRY, a Perth-based online boutique dedicated to offering designer and street inspired pieces for the ‘fashion forward’ at a low price point. I’ve been intrigued by fashion since I was involved in the modeling industry and, for a long time, held an ambition to start up my own boutique. My inspiration for launching HELLO PARRY came as a result of frequently being asked what I was wearing and the success I enjoyed selling clothes on eBay as a hobby. It could be anything. I’m inspired by lots of things from checking out the styles on the streets (ie people watching for many), flicking through Instagram feeds and fashion blogs, to collaborating and sharing ideas with other creative minds. Anything exciting we should look out for in the near future? We are super excited to be collaborating with a few local designers to come out with some cool pieces…so watch this space! What is everyone going mad over this season? 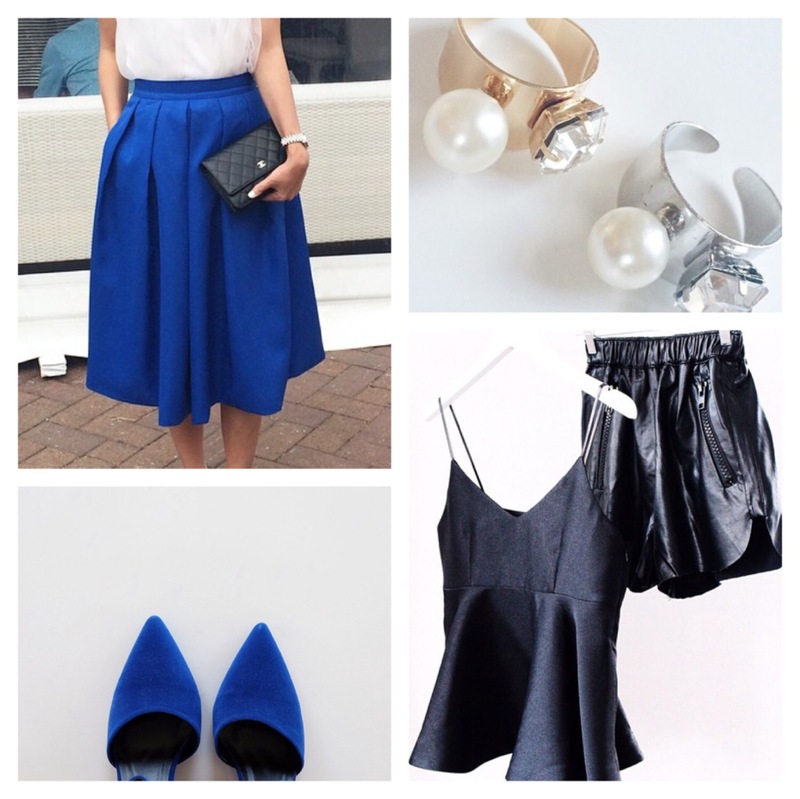 This year, it’s all about the midi skirt (midi skirts are the new black) paired with crop tops. In terms of colour, black and white is proving its staying power. And not to be forgotten, the classic white shirt is the ultimate wardrobe staple. How excited were you for TPFF? I was super excited for TPFF 2014, both for our show and for the honour to be joining the STM team to cover all the amazing street fashion at this years events. Naturally, I was over the moon upon hearing HELLO PARRY would be showing! I had long wanted to showcase our styles in a runway launch and was so grateful for the opportunity to do so. As the majority of our customers are from the Eastern States this also gave us the perfect platform to raise more awareness here in Perth. Your front row was filled with bloggers. Why is it so important to keep contact? Collaborating with creatives in the industry, be they bloggers, stylists, photographers or other labels has long been one of our philosophies, as it is a powerful way to knowledge share and grow each other’s brands. In today’s fashion scene bloggers are hugely influential and have the ability to reach an immeasurable audience and provide us with opportunities for growth. We are fortunate to have built up a good relationship with a number of blogger friends and hope to further develop this in years to come. In the recent cooler months, I’ve been living in my long knit cardigan and ripped jeans, but I can’t wait to wear more midi skirts and oversized white shirts with denim shorts or skorts when the weather warms up. I don’t know why I do this to myself – my Christmas wish list has gotten longer, again. I think I’ll definitely be purchasing a few goodies from Sandy in the near future including that stunning blue midi skirt. Swoon. Another great post…..and yes blogging is a great way to get the word out ! !